Hi, everybody! I hope you’re ready for a new Lawnscaping challenge, because one starts today! 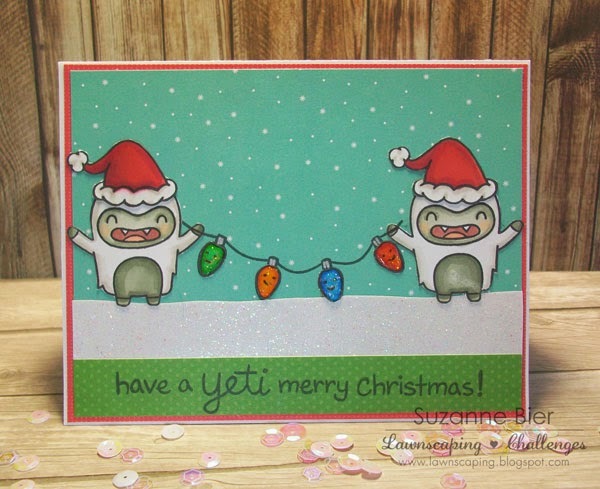 The theme for this challenge is “Merry Christmas,” so I made a little scene with the yeti from Lawn Fawn‘s “Yeti, Set, Go“, the string of lights from “Cozy Christmas” and the Santa hat from “Hats Off to You“. With a little creative masking, I made a custom sentiment with words from “Cozy Christmas” and “Yeti, Set, Go.” The papers are from the “Snow Day” petite paper pad. I made the snow by stamping watermark ink on a strip of white card stock, then heat embossing some clear crystal embossing powder on top. I find that making the snow that way is easier than spreading on glitter glue and waiting for it to dry! 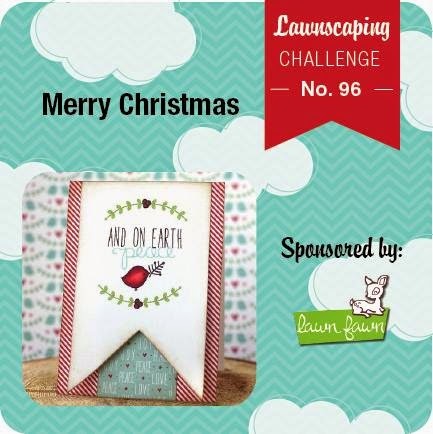 For all the details on this challenge, and to link up your entry, visit the Lawnscaping blog! One lucky entry will win a gift certificate from Lawn Fawn! Hope your week is off to a great start! Thanks so much for stopping by today! Special Digi Bundles at Some Odd Girl Stamps! Hi, everybody! 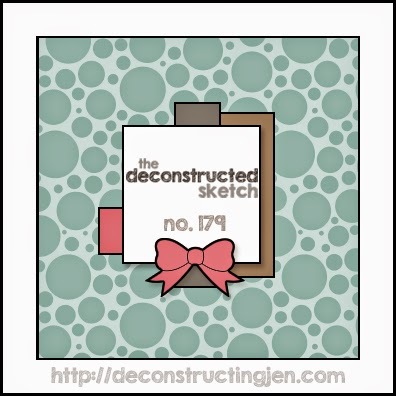 With the holidays just around the corner, we’re doing things a little differently at Some Odd Girl Stamps! Instead of a new digi release today, we’re showcasing special themed digi stamp bundles that you’ll find in the Some Odd Girl Stamps Store! 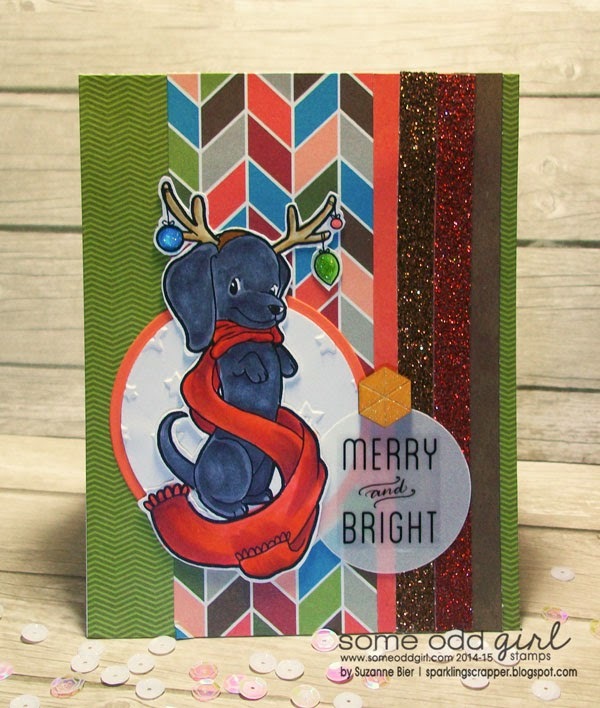 Here’s my card with “Holiday Pup.” I also used a wood veneer Hexie Dot as an accent. My card layout was inspired by the current challenge at retro sketches. I turned the sketch and moved the accents to the right of the main image. 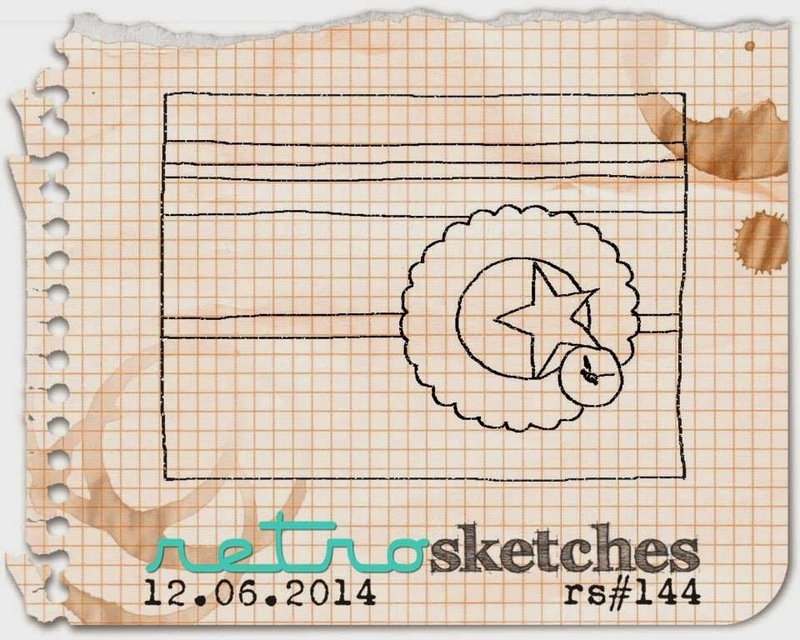 I made a standard-sized card instead of a square card, and made the elements in the sketch larger. Stop by the Some Odd Girl Store to purchase this set or any of the other special bundles! Have you hopped with us yet? There’s still time to leave comments and to link up your holiday creations with Some Odd Girl Stamps (new or old) in our special Linky Party! Visit the Some Odd Girl blog for all the details! It’s New Release and DT Showcase Time at Whimsy and Stars Studio! “Shine” and all of the digis in the store are available for instant download…so there’s no waiting! 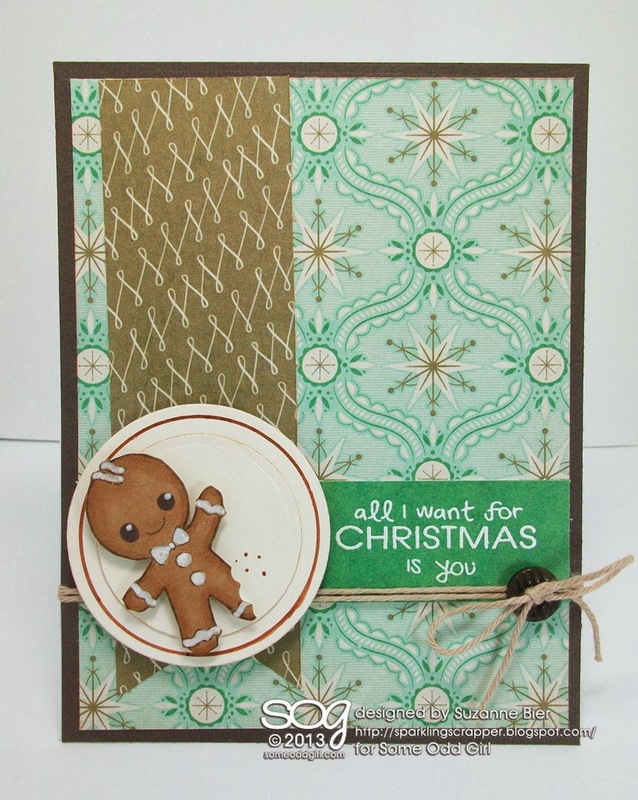 You can see all of the cards in today’s DT showcase at the Whimsy and Stars Studio blog! You might even win a digi of your own if you leave a comment on the DT showcase post! And, there’s more…just visit the Whimsy and Stars Studio blog for all the details! Today marks the first of five days of bonding stamps and sticky stuff! It’s going to be a fun and inspiring event that runs November 25th through December 1st, and I’m part of today’s showcase of stunning creations to share with you while you hop! 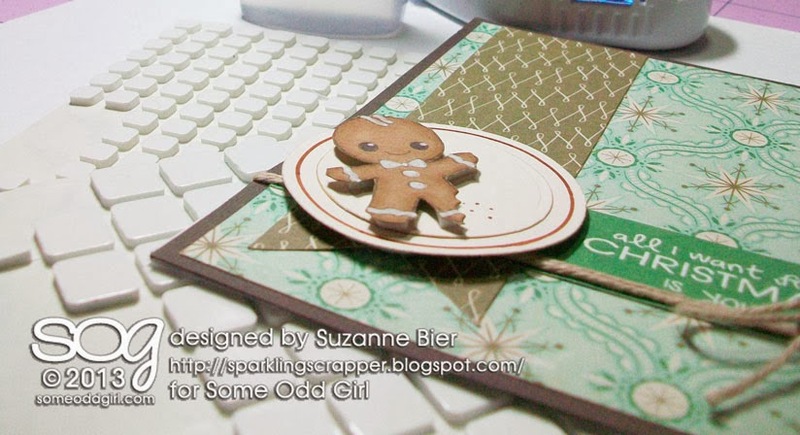 I used some of the larger foam squares to adhere the plate to the card front, and the smaller foam squares to stick the gingerbread man to the plate. I LOVE how these squares are separated from each other on the backing sheets…they are ready to go! I’ll share a little secret with you…I am a foam square addict!!! I use foam tape or squares on many of my cards. Sometimes I want to add support to a section, but it’s too small for a big square, so I cut them in half or into thirds before I stick them down on my project. It works great for a different shape, like the arms on the gingerbread man. With a strip of a larger foam square, the whole arm is supported instead of a part of it! Here’s a picture of my card from the front! 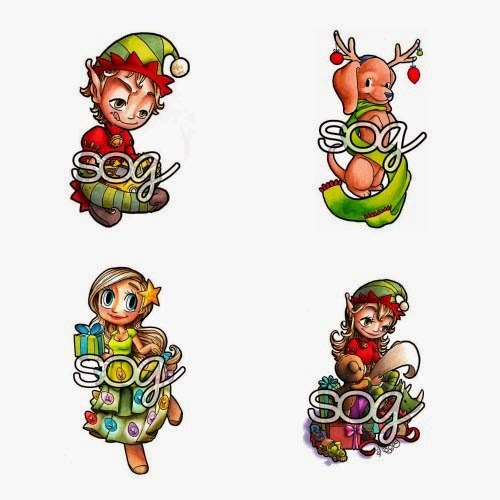 The image and sentiment are from SOG’s “Gingerbread Kaylee” clear stamp set! I made the plate by layering two punched circles, and drew in some crumbs with a matching pen. I used a scallop circle punch to make the “bite” in the gingerbread man’s leg. And there you have it! Some Odd Girl and Scrapbook Adhesives by 3L will be sharing projects on their blogs Monday through Friday, and if you follow along and comment on each of the posts along the way (that’s 10 comments you’ll need to make, folks! ), you’ll be entered to win some serious swag from both companies! There are two happy boxes of adhesives from Scrapbook Adhesives by 3L and two $20 gift certificates to the Some Odd Girl shop to be won! Here are the main blog links: Scrapbook Adhesives by 3L and Some Odd Girl! Be sure to make your way around to both blogs each day this week. You have until Sunday, December 1st at midnight EST to squeeze in all your commenting – we’ll be announcing the two lucky winners on the SOG blog on Monday, December 2nd!